HAPPY NEW YEAR! The day the All-Americans had been waiting for finally came, and the London crowds did not disappoint! The three Varsity Spirit dance groups dressed in uniforms of different colors could be seen from miles away! Poms waving and chants chiming, the most spirited group in the parade was by far a crowd favorite. 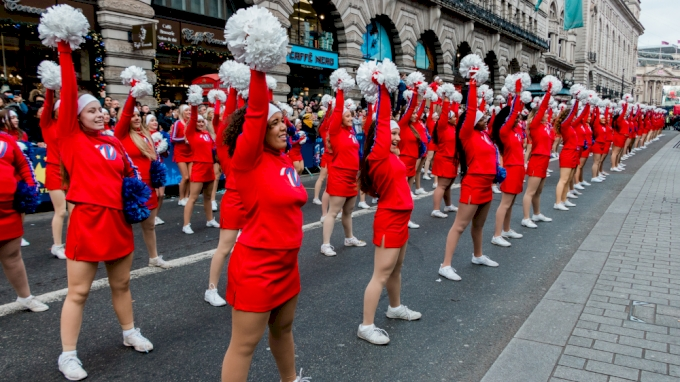 As the groups walked the mile long parade route throughout London, the spectators cheered while the cheerleaders performed their routines to music at every grand stand stop on the route. If you couldn’t make the trip, catch up on the action this week with our daily video updates! Day 1: The All-Americans Have Arrived In London!